After graduating in 1980 from the Royal Academy of Fine Arts in Antwerp , Martin Margiela along with the famed Antwerp 6, came under fashion’s spotlight. He has been evading it ever since. Described by the New York Times as “the most elusive figure in fashion” there is an aura of mystery that pervades Martin Margiela and his maison which is now presided over by John Galliano. Even the Maison’s labels are subdued. 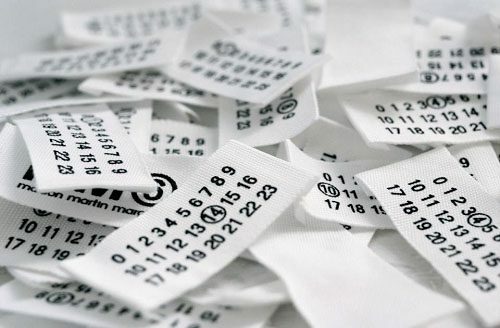 A piece of cloth with the numbers 0-23 is attached inside each garment, the number corresponding to the line it is created for, circled. Four, white pick-stiches affix the label, which is exposed on the outside of his garments. This has become the Maison’s trademark. In this collection, Maison Martin Margiela expresses its love for avant-garde design and conceptualism. This collection features basic garments focused on the feminine. A mixed line for both men and women, unisex accessories. A seasonal selection of footwear from Line 1. 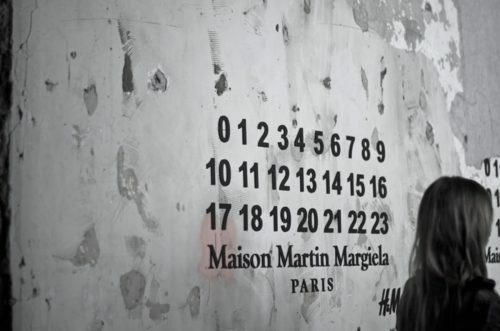 You can view our selection of Maison Martin Margiela here.